Henry Lincoln found sometime in the seventies, that there was a five-pointed star in the area. One point are Rennes le Chateau. The others are Blanchefort, Soulaigne, Bezu and a point near Granes. Later Henry found several geometric patterns in the area, and many others have worked on these thoughts. The whole area - 30 times 30 kilometers - is now a big jumble of lines, stars and other designs. Is there any truth in these theories? Much is pure speculation, but it is still remarkable that peaks located in a five-point formation, or that they are placed in a right-angled triangle 3-4-5, also known as one of the Pythagorean discoveries. Strangely enough, almost all sought outside the church at Rennes le Chateau. We tried to find out what the church building, the decoration etc would tell, and then opened a new chapter in the history of the very beautiful church. It contains an incredible amount of knowledge about sacred geometry, architecture and symbols, which the priests who were around Sauniere was in possession of. This group of priests also knew the connection to the geometry, located throughout the area, and the internal geometry of the church is beautifully connected to the outer geometry. a line that goes through the round window in the east and pointing toward Cardou - in the direction 80o. 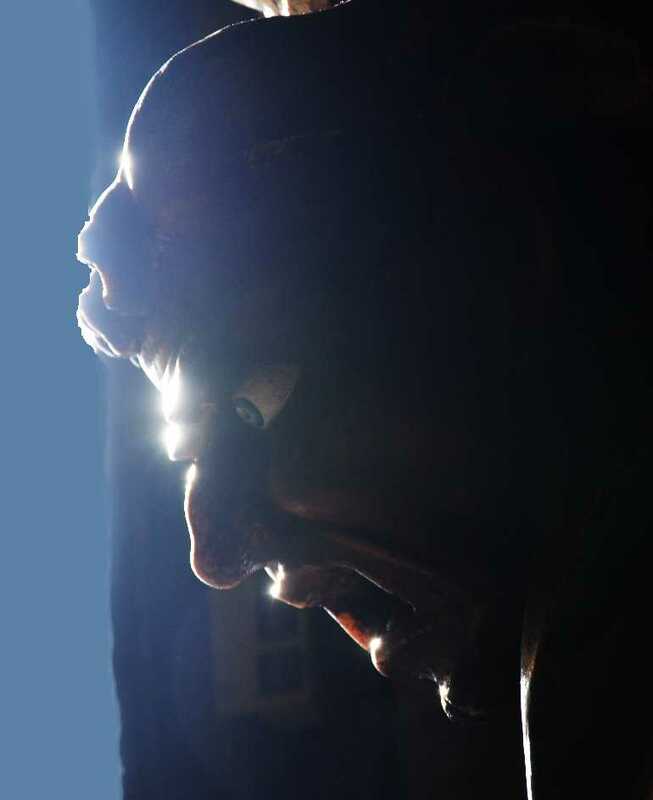 a line from "Lucifer" - the statue at the entrance, through the pulpit and through the window in the choir with Jesus, Mary Magdalene and Martha - in the direction of 61 °. The third line goes from Lucifer, through the two tabs on the sounding board of the pulpit and out through the northeast window in the choir. 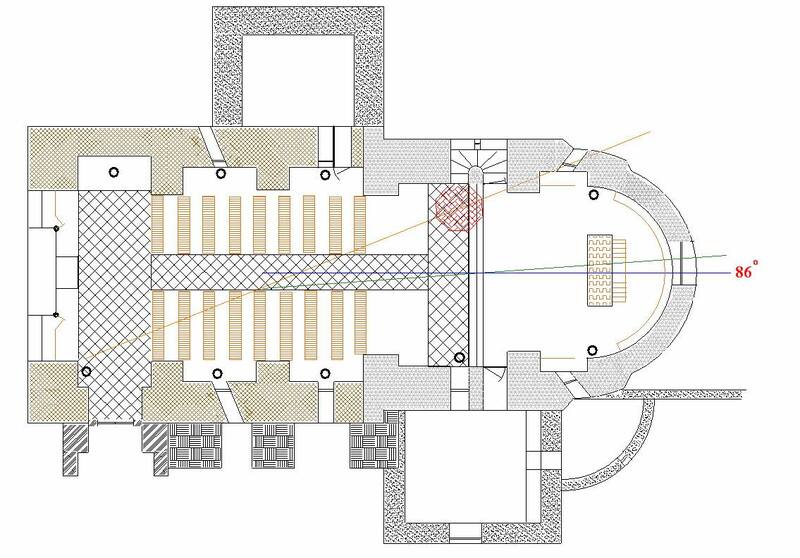 The geometry used for the church's floor plan, is also found in the Cathedral of Chartres. In this cathedral you will find the window "La Belle Verriere" which shows the Madonna with child. The head of the Madonna is inclined 6 °, the same as the angle between the line 1 and 2. Line 1) and 2) form an angle of 6 °. This angle recur in various places in the church and other sites linked to the church.